On the first day, after checking into the camp site and eating lunch, we decided to go explore the Hidden Lake Lookout. After driving for about an hour, we realized our phones were “off the grid” – we had no internet connection and the GPS was not very accurate. Alas, we didn’t make it to the intended destination! Instead, we found ourselves at the North Cascades National Park. 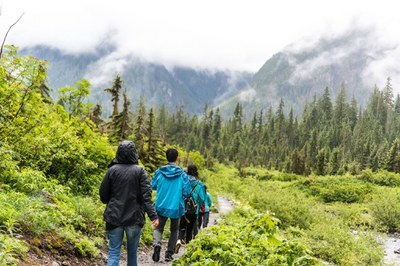 Despite the turn of events, our group was a sport and decided to hike in the National Park – we were definitely rewarded by the beautiful scenery. We got back to our campsite safely – but the rain didn’t stop and had no signs of slowing down. Our group put together a make-shift shelter so we could build a campfire – so creative and innovative! We made s’mores, told stories, and played games while keeping warm by the campfire. 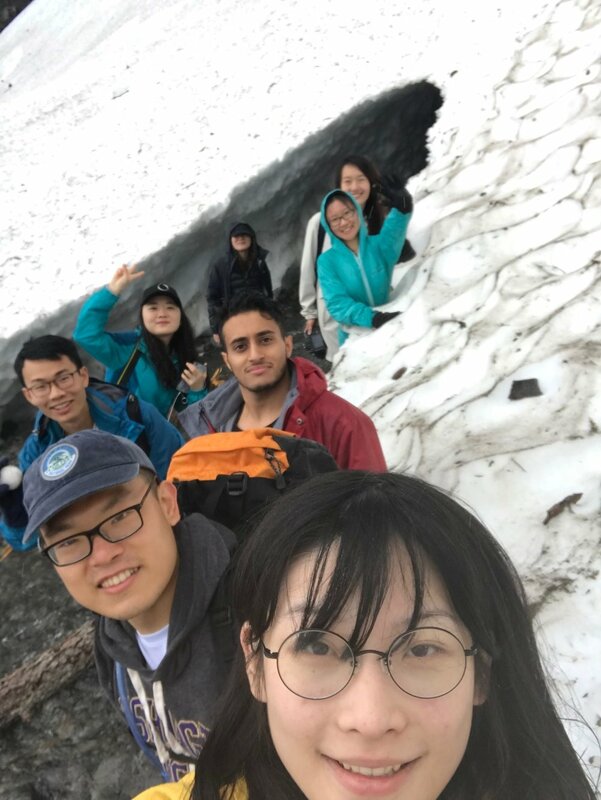 The next day, we visited the Big Four Ice Caves after breakfast. Creative solution – makeshift shelter to cover the campfire! During this trip, one of the participants commented that they tried many things “for the first time.” Many others wholeheartedly agreed. From building a tent, lighting up firewood, cooking on a propane stove, sleeping under the stars, to hiking an ice cave – I believe every one of us will always remember this trip as the “first time” we did something unique. For me, this is my first time facilitating an overnight trip with FIUTS. And I feel so grateful to have met these wonderful people – we all connected online and hopefully will stay in touch! Learn about more upcoming events or how to become a FIUTS Facilitator!